If there’s one thing that can be said about enthusiasts’ Jeeps, it’s this: no two are exactly the same. With so many aftermarket parts out there for the Jeep JK platform, it can be hard to gauge just where to start to get your JK ready for going off-road. With King Of The Hammers – the World’s Toughest One-Day Off-Road race and draw for Jeep enthusiasts everywhere – coming up this weekend, we thought there’d be no better time to talk Jeep. We sat down with Modification Expert, USN Veteran and Jeep Enthusiast Villenueve Kirk to go over some key upgrades to help you get the most out of your JK Jeep Wrangler to get out there and get on the trails, while still enjoying your Jeep when you aren’t at a Bureau of Land Management recreation area. Ground clearance, ground clearance, ground clearance. Being able to get over that obstacle can be the difference between finishing the trail and needing a tow out – and keeping your center of gravity low will help you keep your jeep shiny-side-up, should you get a little angle. 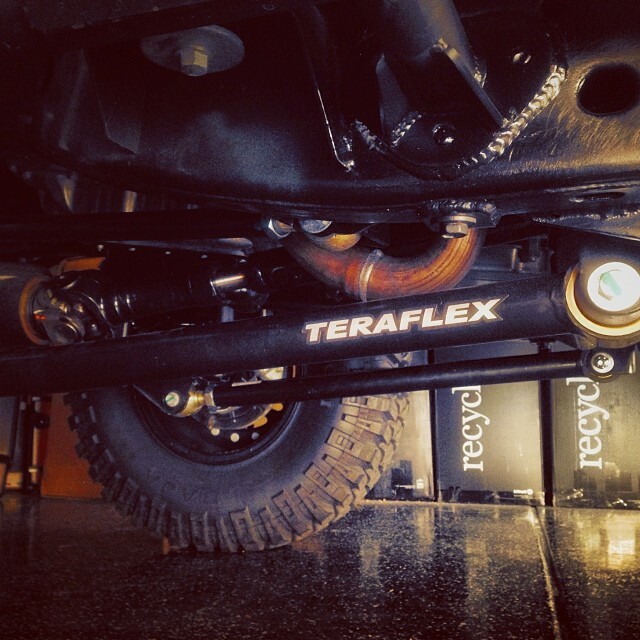 The TeraFlex Elite LCG 3? Long Arm kit is the perfect solution for trail users. Offering the most advanced long arm system available, coupled with a lift height that keeps the center of gravity low while offering the performance of a traditional 4? or 6? lift system. 2. What Kind of Rubber Are You Wearing? Clearance is nothing without grip. Many Jeep enthusiasts prefer a tire made in the USA, though Nitto and Toyo both offer amazing Open Country Mud Terrain & Mud Grappler Tires. However, anyone who has run an off-road tire on a street driven vehicle can tell you, off road tires aren’t always the nicest on road – they can be harsh and noisy. 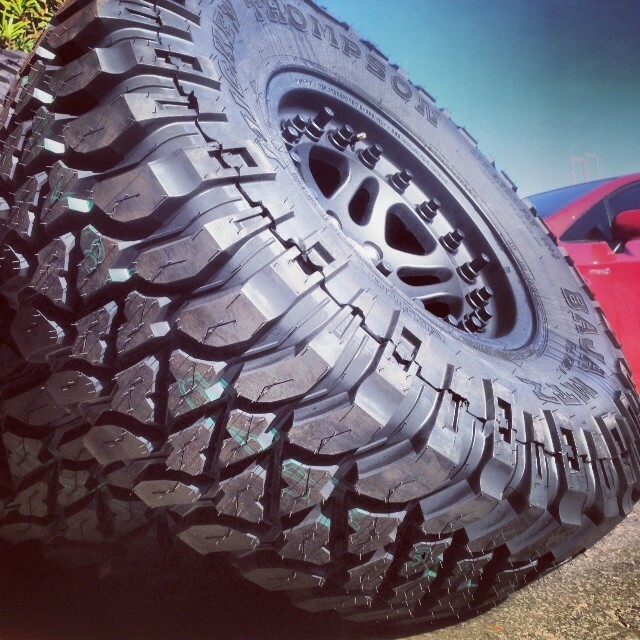 The Mickey Thompson Baja MTZ Radial, however, avoids these problems. Extreme off-road enthusiasts will appreciate the great ride and handling that this mud tire has on the highway, thanks to the Mickey Thompson Power Ply, with a 3-ply sidewall for better performance handling, puncture resistance and improved towing capacity. Considered a "Hybrid Tire”, the Baja MTZ performs well in the mud and on the trail but is still civilized for when you need to drive onroad back into town and quiet enough to still use the Jeep on date night. When you get out on the trails, you can often find yourself needing to air down your tires for increased traction – and under these conditions, without a beadlock, the tire can unseat itself and come off the rim. Most "Bead Locks” you see on the road are either totally fake, or illegal for on-road use. Hutchinson’s Rock Monster Civilian Application Double Bead Lock Wheels, on the other hand, are the exception – these wheels ARE actually road legal and DOT approved. 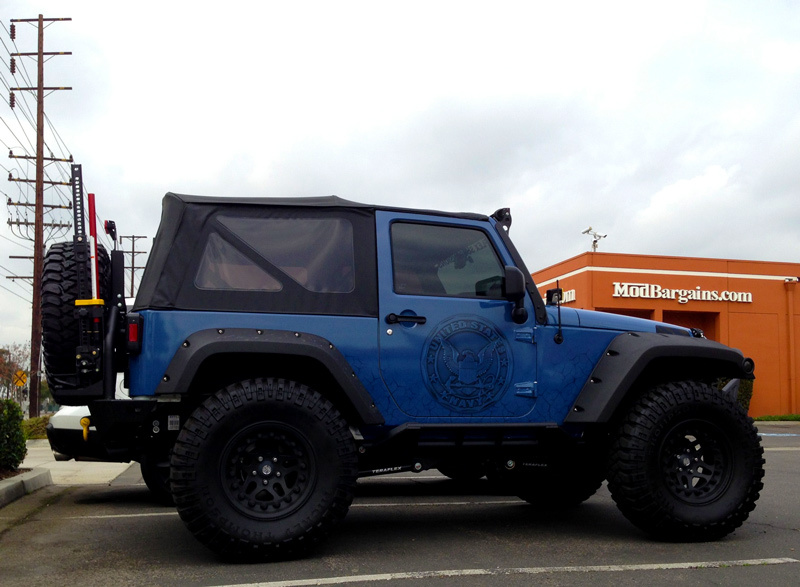 Hutchinson has strong ties to the Military and Department of Defense, and has recently adapted their military-grade wheels for consumer 4x4s. Designed for EXTREME off-road usage, the Rock Monster wheels continue to hold the tire securely against both the inner and outer rims to keep the tire secure regardless of conditions – Kirk reports even having seen trail use as low as 4psi with these wheels. 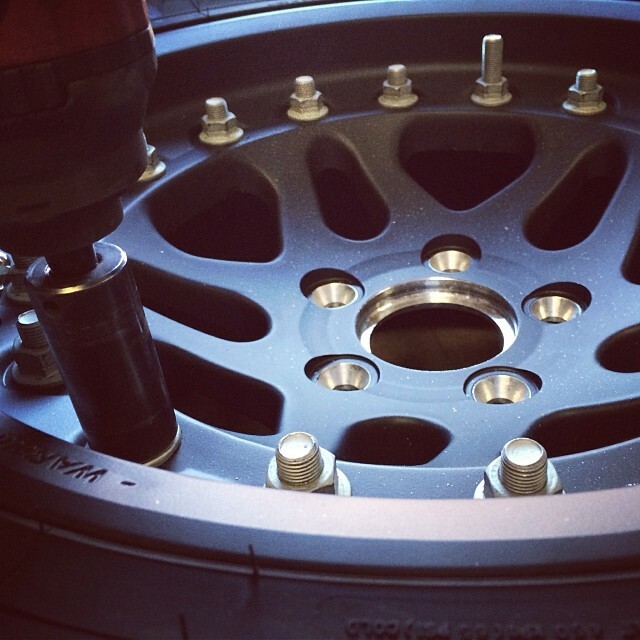 With these military grade wheels, the beads won’t break, leak or slip. When on the trail, heat build up can do some serious harm to your motor over long enough periods of time, so letting that hot underhood air escape will help your radiator better do its job, and your motor and accessories can run cooler. In addition to looking positively badass, this functional hood has several perks. Designed to both provide fresh intake air and critical underhood cooling, the heat extraction vent takes advantage of the low pressure area created at the front edge of the hood when the Jeep is in motion. Since air moves from high pressure to low pressure areas, the placement of the center vent causes cooler outside air to be drawn through the radiator and up through the hood. Being rugged and durable out on the trail is invaluable, and you can’t really beat on a fiberglass hood – nor is the fitment typically very good out-of-the-box for fiberglass- which makes this direct-fit, stamped steel hood an attractive option. 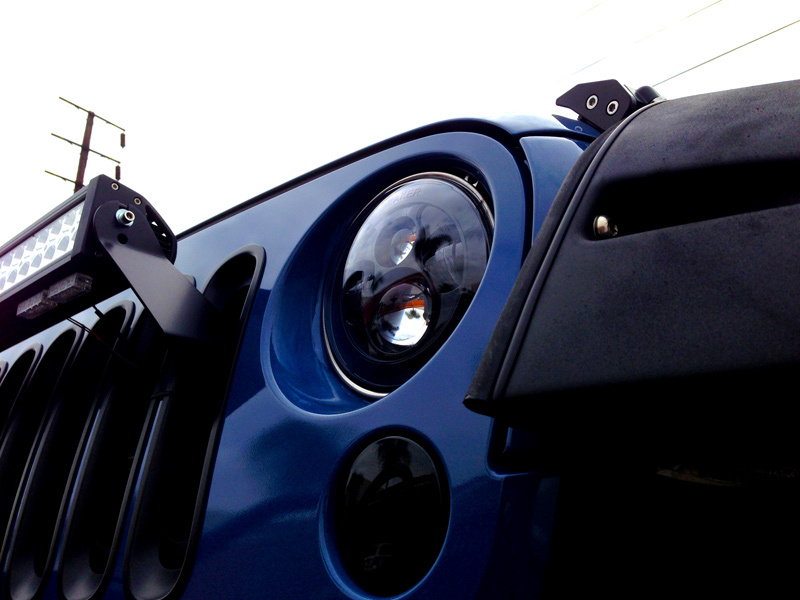 This hood also features crumple zones molded into the design to retain the crash integrity of your Jeep, and the mesh inserts on the side are also removable to accommodate the installation of an AEV Snorkel Kit, should you plan to ford any streams any time soon without hydrolocking it. Let’s be real here. The stock headlamps are, well, garbage. The OEM headlamps leave a lot to be desired – the low output halogen bulbs coupled with a less-than-ideal reflector design results in some lighting that can leave you "in the dark”. These absolutely stunning looking LED headlamp units from JW Speaker are a functional and stylish upgrade and will improve your night time visibility. 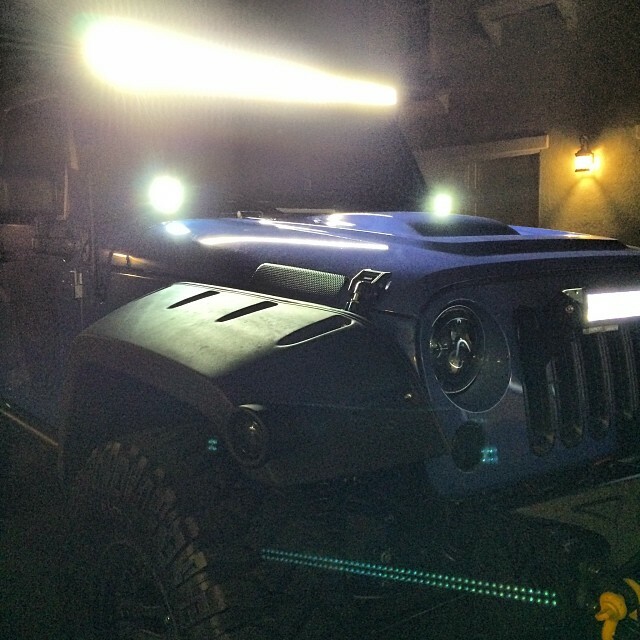 Lots of modern illumination is available, enhancing both your visibility to others, improves the aesthetics of your jeep and can even reduce electrical drain on your vehicle by upgrading to High Intensity Discharge and LED illumination. Your headlights are great, but out on the trail or on the dunes, you need every bit of light you can get to see every obstacle in your path, and not everything is illuminated from the angle of the headlights. Light up the trail as clearly as day – or brighter – with LED light bars from Rigid Industries. With these bad boys, crawling the most rock laden trail will be easy on your spotter’s eyes as you light up the trail nearly well enough to land an airplane. LED light bars are not your daddy’s KC Dayliters where you needed an alternator the size of a keg just to power your lighting – today’s modern LED lighting is incredibly bright and low-draw compared to anything halogen. Kirk’s JK is fitted with a 18,000 lumen 50? LIFETIME LED Light Bar, a 7,200 Lumen 21.5? LED Light Bar and [2x] Dually XD Lights from Rigid Industries for another 6,272 Lumens – for more than 30,000 lumens thrown on the trail in addition to 2700 lumen headlamps. Being stuck on the trail with a broken driveshaft is no fun at all. 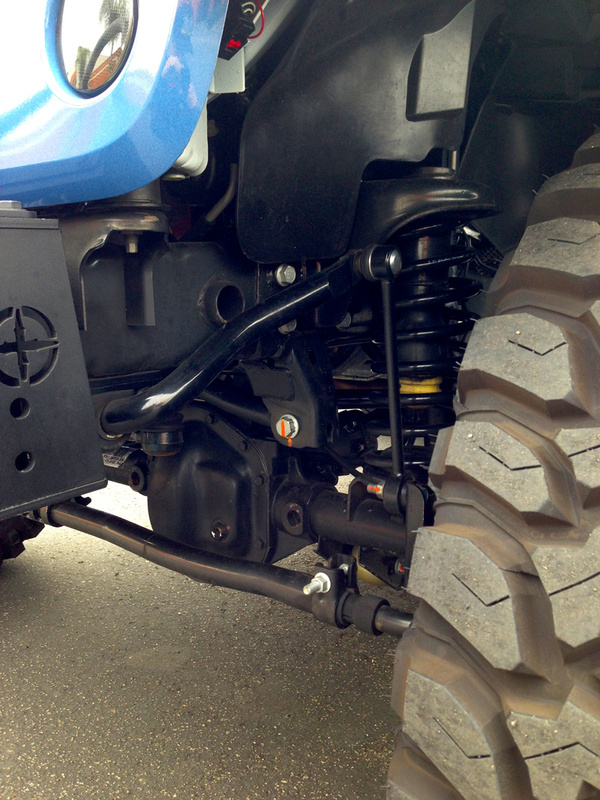 Off-Roading isn’t just hard on your suspension, it’s hard on the drivetrain itself. These JE Reel heavy-duty OE-Replacement style Driveline components eliminate the weak factory driveshaft entirely and beef up the Axle U-Joint and CV-Joint at the transfer case and are a straightforward bolt-in replacement for the original. These components are suitable for use with a 3? lift and 33? 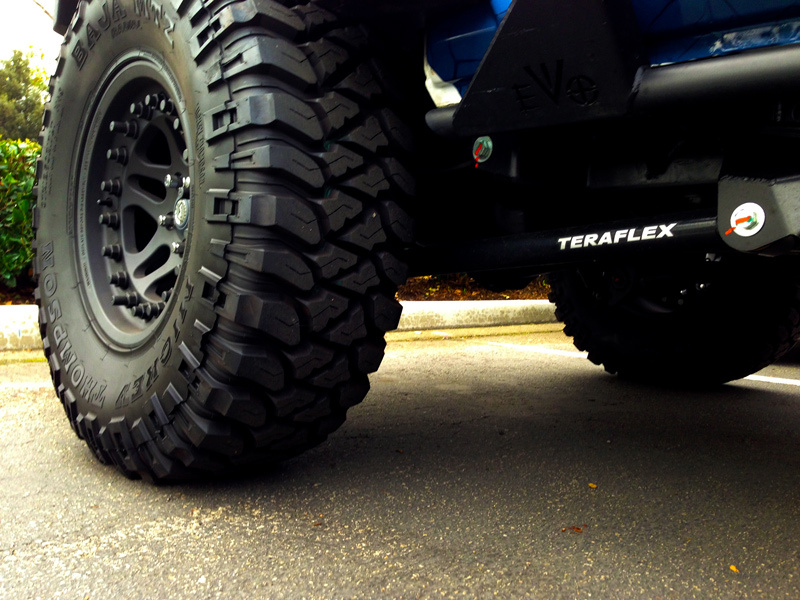 tires – upgraded driveline components are a MUST if you have a lift or 30?+ tires. While this list isn’t a be-all-end-all to Jeep Modification, these 7 Upgrades should go a long way in getting the most out of your JK off the paved road. If you’re interested in modifying your own Jeep, we are a full-service Jeep parts & accessories distributor and installer. 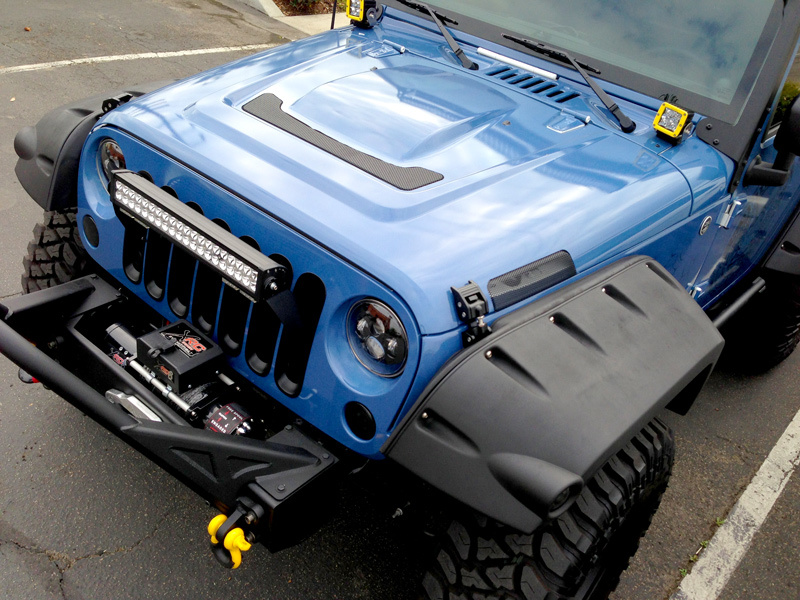 Call 714-582-3330, extension 8013 to speak to Jeep Modification Expert Kirk. No matter what you’re building your Jeep to do, we’ve got the knowhow to recommend the right parts for what you want to do.